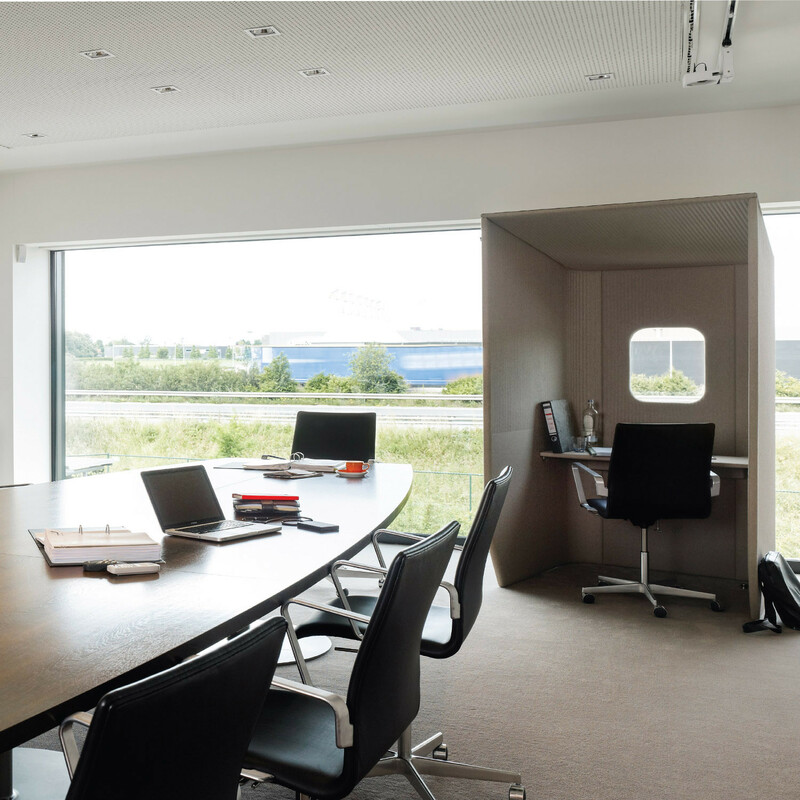 BuzziBooth Workstation by Alain Gilles is an acoustic felt upholstered booth away from your desk or colleagues, intended as a private haven work space to make a phone calls or to get some work done in today's often noisy open plan office environment. Available as seen here as a seated Buzzibooth but it also has the Standing Buzzibooth that can be used with a bar stool. 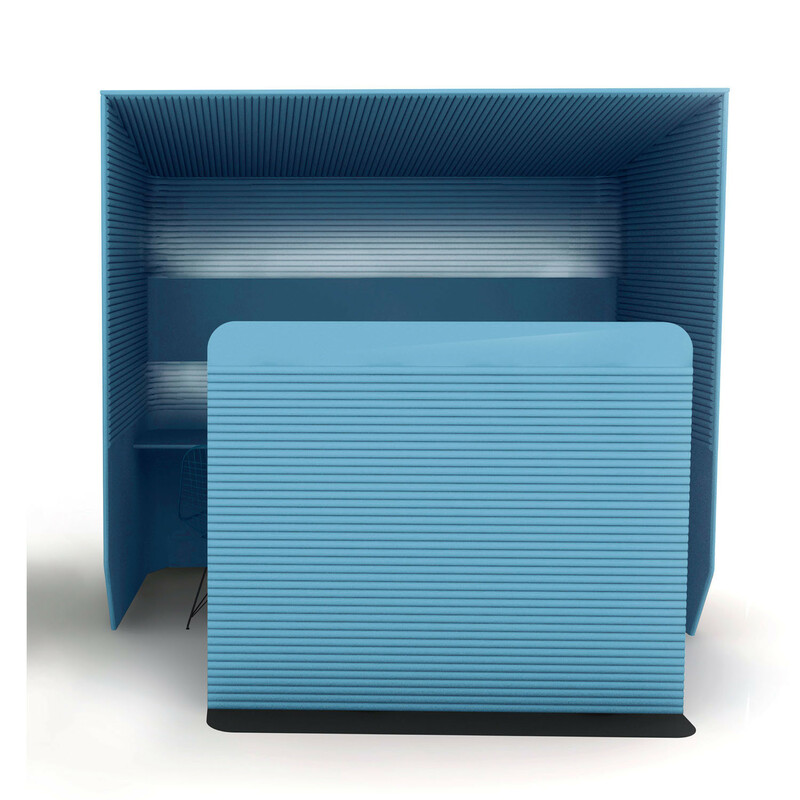 BuzziBooth Workstation is a modern day ‘phone booth’ made of sound insulating acoustic felt that dampens outside/surrounding office noise. 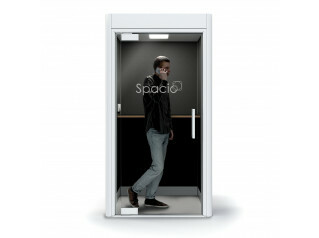 Now you can have a moment alone even in the most cacophonous of surroundings in your own private work booth. 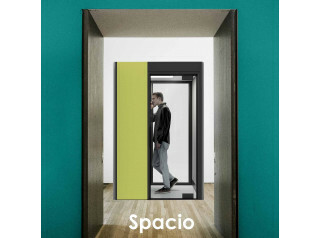 This is truly sound micro-architecture for the modern agile office. 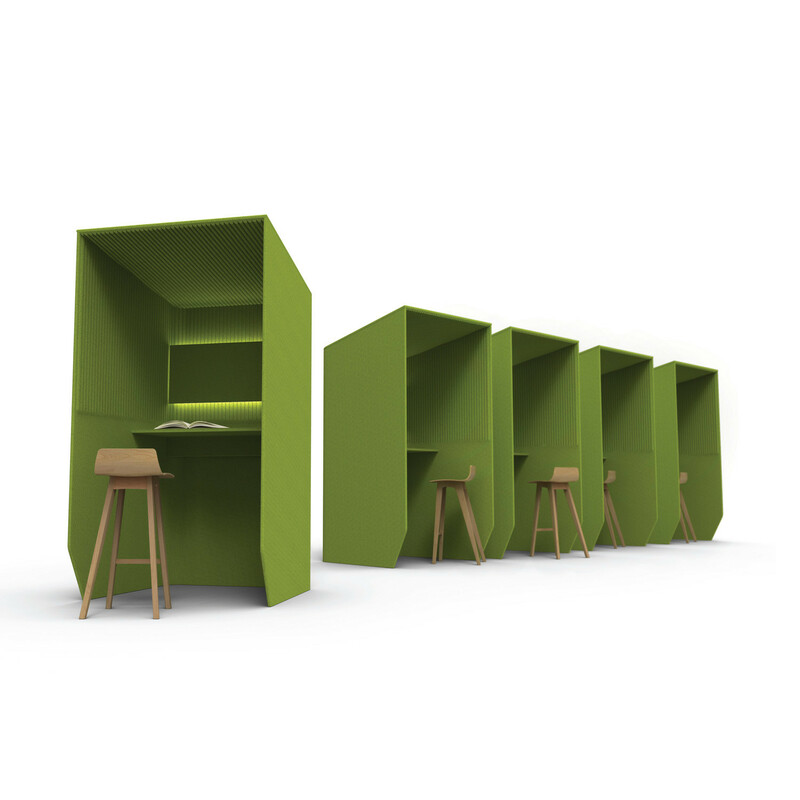 Available as a standing or sitting private area, BuzziBooth is a versatile acoustic work booth ready for when you need space. BuzziBooth, BuzziBooth Standing all come with a table top, cable tray, optional light and pin board. 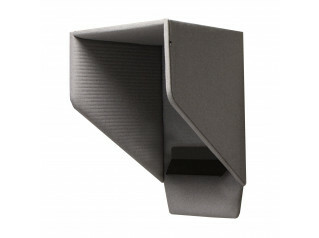 The internal wall of the BuzziBooth can have standard rib or diamond upholstery. 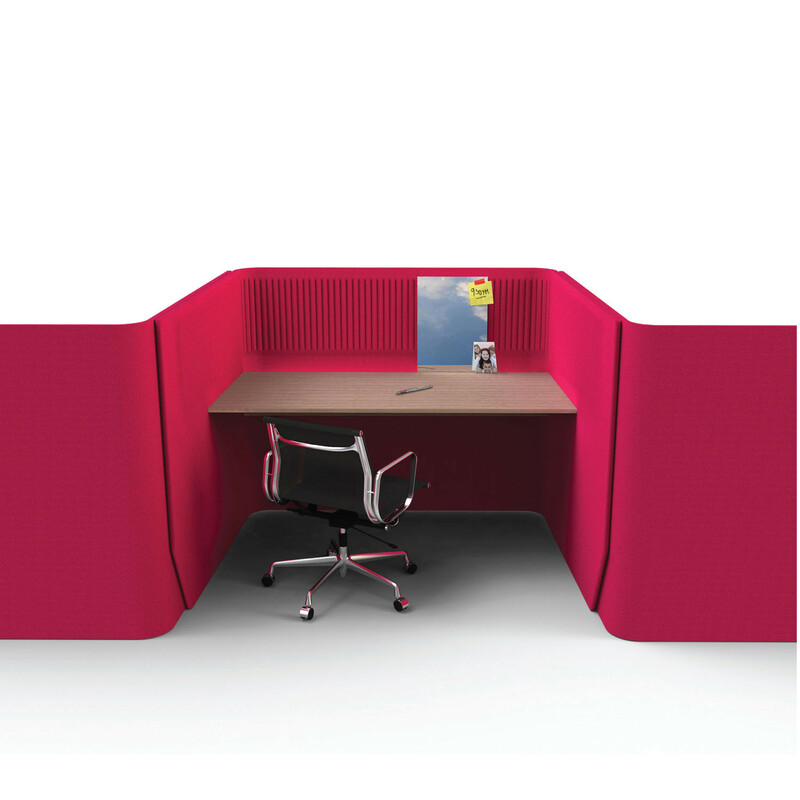 As the BuzziBooth is not a fully closed unit for extra sound privacy, an optional single or double freestanding acoustic room divider can be added at the back of the user and between the office. 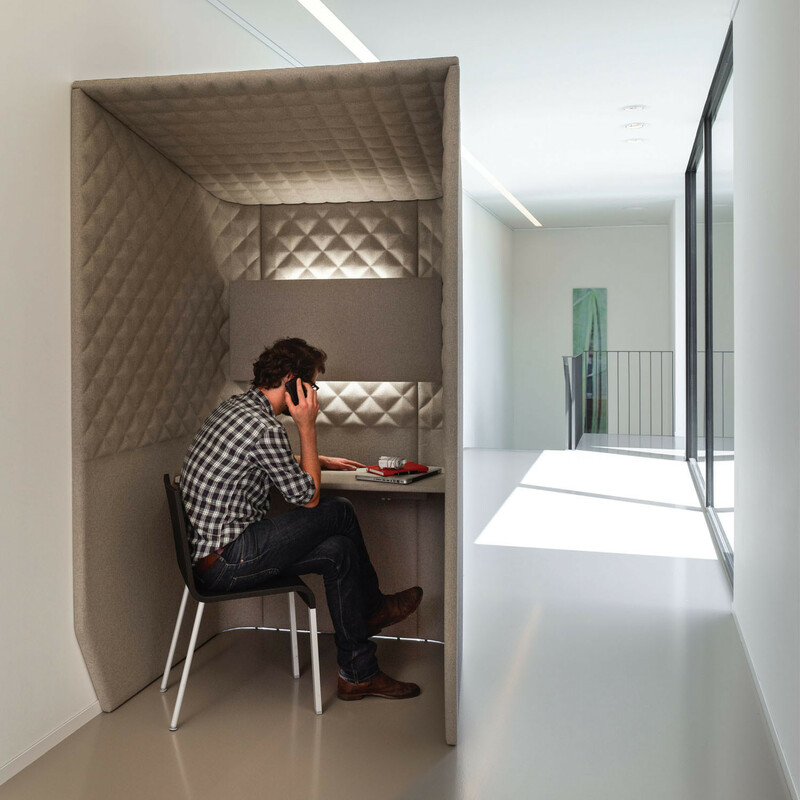 An acoustical felt phone-box made of sound insulating felt that dampens outside sounds for private phone calls and focused work. You are requesting a price for the "BuzziBooth Workstation"
To create a new project and add "BuzziBooth Workstation" to it please click the button below. 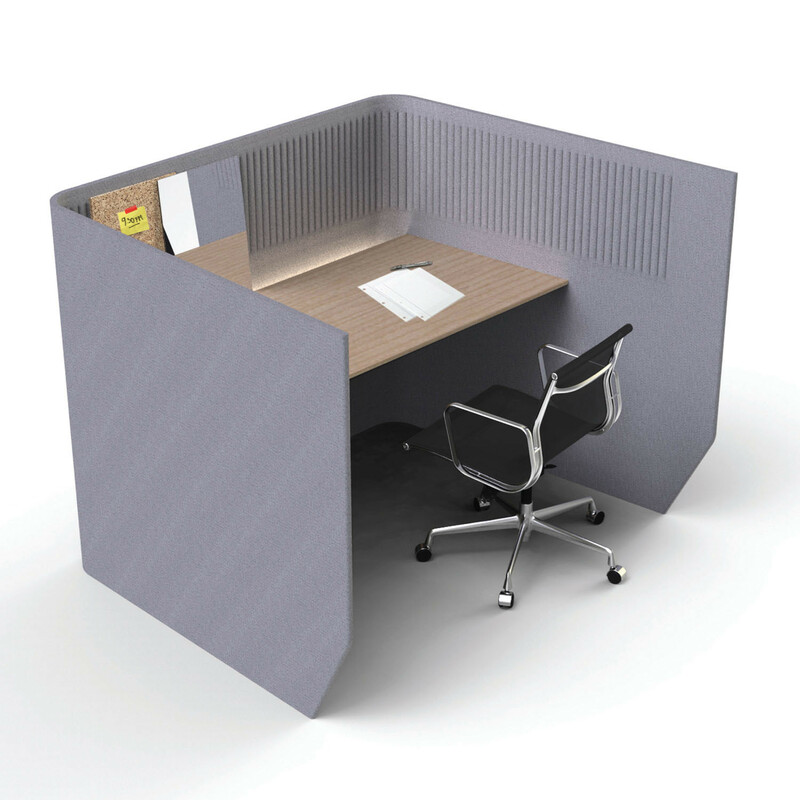 To add "BuzziBooth Workstation" to an existing project please select below.